Hi, I m vinod kotiya and i m from bhopal.... Once Worked in Himalayas for 6 years. This blog is all about few how to's... music...games and softwares made by me.. nd.. the places i visited etc. 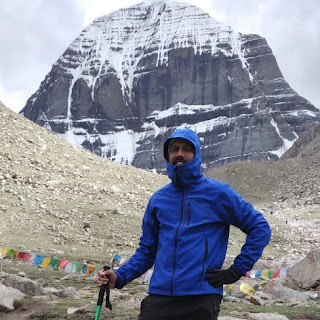 I undertook the Kailash Mansarovar Trek from 06.07.16 to 31.07.16 and crossed two passes Lipulekh (5100 Mtrs) and Dolma (5610 Mtrs). Trek length was around 250 Km. Here is the detail with pic and videos for awareness and knowledge of others. 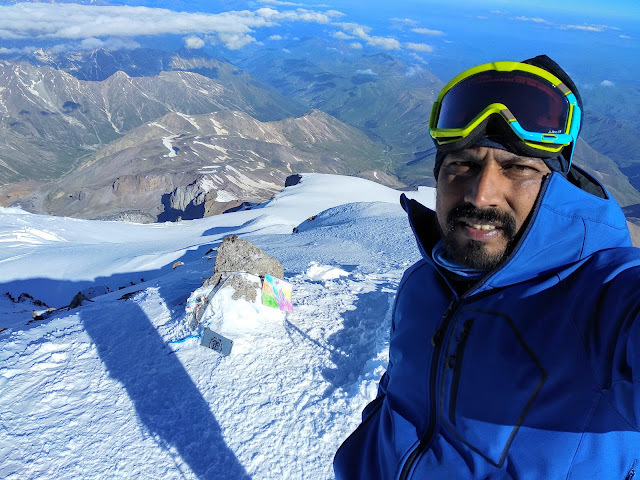 On 25.06.2018 I successfully climbed the Mt Elbrus Solo. Here is a guide for how to do it Solo. Mount Elbrus is the highest mountain in Europe, and the tenth most prominent peak in the world. A dormant volcano, Elbrus is in the Caucasus Mountains in Southern Russia, near the border with Georgia. At 5642m, Elbrus and its double-coned volcano is 832m higher than Western Europe’s highest mountain, Mont Blanc. It’s a certified member of the ‘seven summits’ – the highest point on every continent – and is coveted by mountaineers everywhere. You climb an European Mountain from Asia without entering the Europe. (c) Vinod Kotiya. All Rights UnReserved.